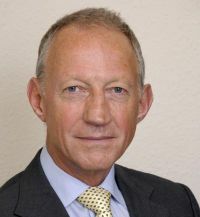 Mike Carrivick was Chief Executive of BAR UK (Board of Airline Representatives UK) from 2004 until 2012, and before that had spent a 40-year career in the airline industry. He is now the spokesman for a small independent forum called the Progressive Airline Group and puts forward an idea for an entirely new airport west of London. Well, in the context of UK hub airport policy, it doesn’t seem to apply. The Coalition threw out a well-framed policy and substituted with….well nothing really, except a great big vacuum. Consequently, regardless of respective views on hub airports, nobody but nobody has an inkling of what may ultimately be permitted so no firm plans can be laid. Goodness knows what damage is resulting to the economy, not least inward investment. Everybody is paying the price of indecision. a) If Heathrow is not to be further developed as a hub, then where might a new hub airport be sited, and how might it be funded? b) What expansion policies may also apply to other SE England airports, especially Gatwick? It’s a pity the Transport Select Committee hearing earlier this year turned into a Heathrow v Gatwick argument; the issues are far broader, and each airport should be able to sustain its own merits for growth independent of each other. Thoughts that a split hub, using Gatwick and Heathrow, could be successfully developed are far from realistic. It’s vital that a wide range of options are explored, not just those in the Thames estuary that have enjoyed so much PR activity. Hence, much responsibility for a clear way forward now rests with the Independent Airports Commission, chaired by Sir Howard Davies. Amongst the submissions received by him are two options presented by the Progressive Aviation Group (PAG). The PAG is a pro bono team of five individuals that has no vested interests in the outcome of the Commission’s deliberations; it is entirely neutral. Its ultimate aim is that a hub airport policy should be developed that is clear in intent, including further development at Heathrow, and clear in timescale. 2) West of Didcot (based on the area around Steventon). 1. Mandated local noise and environmental standards are addressed and met, without overflying any major conurbations on approach or departure. 2. Has a flat 3 mile by 3 mile land take capable of taking four runways in the W-E/SW-NE co-ordinates plus terminals and airport infrastructure. 3. Has good access to UK’s national rail and road links. 4. Has an ultimate 30-minute target journey time to London by rail. Surface access, especially low-carbon public transport, is vital for both sites, and the PAG has two rail experts within the group who have provided invaluable input. • The Croughton site is very close to the M40, and will be very close to the planned HS2 rail track; a realignment into a hub airport between London and Birmingham looks feasible. • The Steventon location is nearby the M4/A34 and the main railway line between London and Bristol/South Wales is immediately adjacent. Both sites are close to other main population centres, in addition to London as well as being close enough for many Heathrow staff to commute if so required. The Progressive Aviation Group proposals add to the debate, without being stigmatised by any commercial imperatives that attach themselves to others. We look forward to the Commission assessing them in due course, and to hopefully appearing before them to expand on the rationales behind them. What is clear, though, is that Heathrow is operating well beyond its planned practical maximum, so that resilience takes a hammering when adverse operational conditions prevail. It’s ultimately up to the Commission to present their findings and recommendations to Government, and for Government to define the way forward with the minimum of delay.